Verba Maximus is the National Literary Festival of BITS Pilani Hyderabad Campus. Every year, we have thousands of literary fanatics coming over to the fest and enjoying a melange of literary events. As a part of this Literary Festival, they are hosting a stand-up comedy show that the bibliophiles can attend and relax after spending the day at the festival. This year, Verba Maximus will be seeing Biswa Kalyan Rath doing a stand-up comedy show. He has amassed great popularity in recent times, working his way up in the business, in addition to being famous for his YouTube show Pretentious Movie Reviews. The fest, and comedy show are open to all and entry to both are exclusive of each other. 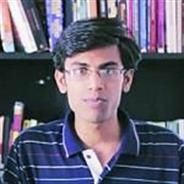 Slapstick comedy and sarcasm has a new form in Biswa Kalyan Rath, the host of 'Pretentious Movie Reviews'. His Bollywood movie reviews have been a constant source of entertainment for several months now for the Indian Youth. After conquering the internet world, this young and witty comedian has also been successful in enthralling the audience with his live performances. Availing refunds on purchased tickets is not possible. Recording of the event in any form, Audio, Video, Photography etc. is strictly prohibited, and audience members are banned from creating, recording or transmitting any form of visual or audio recording of the show. Event organizers will have the right to usher you out of the venue for non-compliance with these regulations. The event may feature explicit language. Therefore we strictly recommend that audience below the age of 16 not attend the show. Audience members are expected to be at the venue at least 1 hour prior to the event, so that you can sort and exchange for your physical ticket. The seating arrangement is free-seated, and not reserved. Therefore any seats of preference will be on a first-come first-serve basis. Audience members are requested to carry a photo ID proof and produce it to the concerned person on request. Event managers/organizers reserve the right to follow all security protocols, including frisking of audience members if necessary. Possession of dangerous or potentially harmful objects will not be allowed at the venue. Possession or consumption of alcohol, drugs and any other intoxicating substances are strictly prohibited at the venue. Outside food, drinks and cigarettes will also be prohibited at the venue.